YOU ARE HERE:Home » Auto Insurance » Think you don’t need a flu shot? It’s fall in Florida, that means, football, pumpkin-spice and flu shots. October just started and there are already confirmed cases of the flu. Last year, 80,000 people died from the flu in the U.S. The largest number of casualties in four decades, according to the Centers for Disease Control and Prevention (CDC). Americans made 900,000 hospital visits. The CDC also reports last year’s flu season, was the most severe since the pandemic in 2009. The Florida Department of Health recommends everyone over the age of six months old receive a flu shot by the end of October. The flu vaccine is convenient to get and available at most pharmacies such as CVS, Publix and Walgreens, walk-in clinics, public health facilities and your doctor’s office. 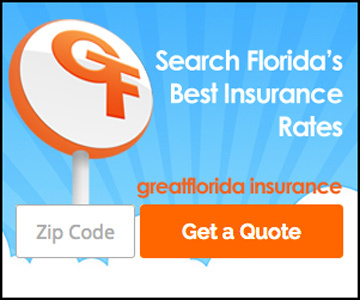 “Many health insurance companies cover the cost of the flu vaccine, but in case, check with your insurance beforehand to see if your plan requires your shot from a particular office or location,” reminds Ellsworth Buck, Vice President of GreatFlorida Insurance, Florida’s top independent health insurance agency. While, getting a flu shot will not guarantee you will not get the flu, research shows people who receive the vaccination experience less severe complications. A CDC study in 2017, showed that vaccination reduced flu deaths among children with high-risk medical conditions by half and among healthy children by about two-thirds. To keep updated of national and state flu activity, check out the Florida Health Department’s web page at: http://www.floridahealth.gov/diseases-and-conditions/influenza/index.html.